A friend and colleague of slain Chief Supt. Baruch Mizrahi, who was almost killed himself, blames deals with Palestinian Arabs for murder. In an unusually harsh statement for a serving security officer, a friend and colleague of slain police officer Chief Superintendent Baruch Mizrahi has blamed the government's policies of appeasement toward the Palestinian Arabs for the terrorist murder that took place Friday near Hevron. 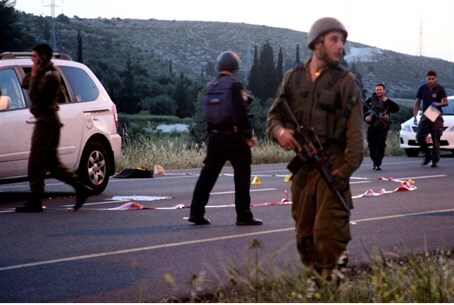 The man – identified only by the Hebrew initial Ayin – told Channel 10 television that he had been driving in the car behind Mizrahi's when the terrorists opened fire, killing Mizrahi and seriously injuring his wife. While his interviewers tried to get him to describe the sights, sounds and emotions of the ambush, he insisted that these were irrelevant details. The main thing, he said, is the motivation that led to the murder. This motivation, he explained, was provided by a “deal with the devil” that certain ministers in the Israeli government have been carrying out. While he did not name names, it was clear that Ayin was referring to Tzipi Livni (Hatnua), who heads Israel's negotiating team in the talks with the Palestinian Authority (PA), and to deals she agreed to involving the release of terrorist murderers – deals which enjoy the support of some of the government's other ministers as well. 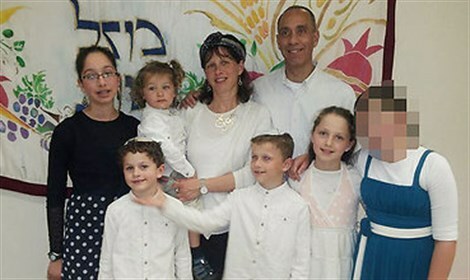 Ayin said that he wanted to maintain anonymity because he did not want his children to know that they had so closely escaped a terror attack. His children were in the car with him when the ambush took place, and the bullets passed only 30 centimeters, or about 15 inches, from them. Ayin and his wife told the children that the event they had experienced had been a flat tire. The Mizrahi family. Kiryat Arba - Hevron local council.